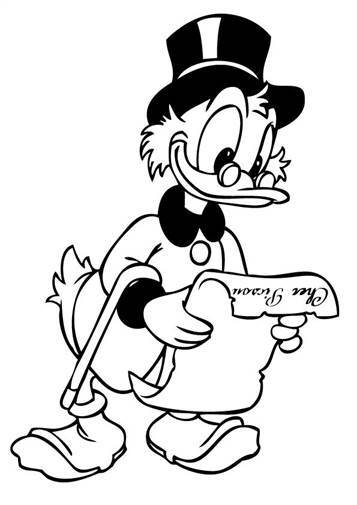 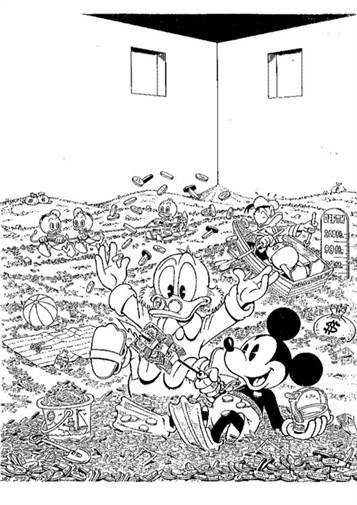 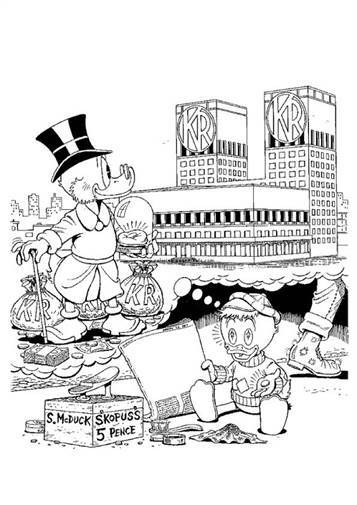 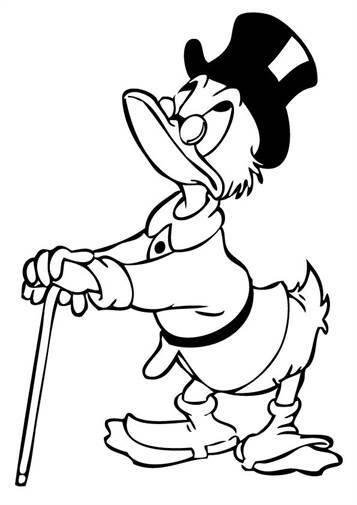 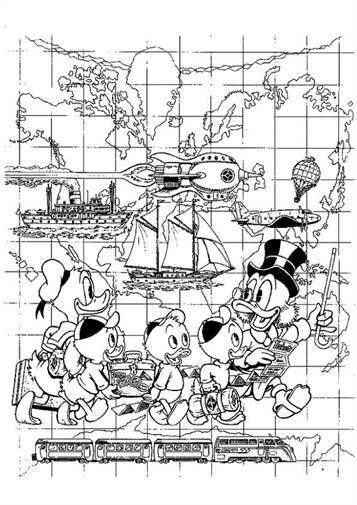 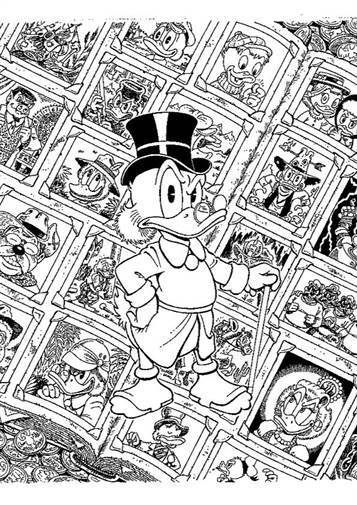 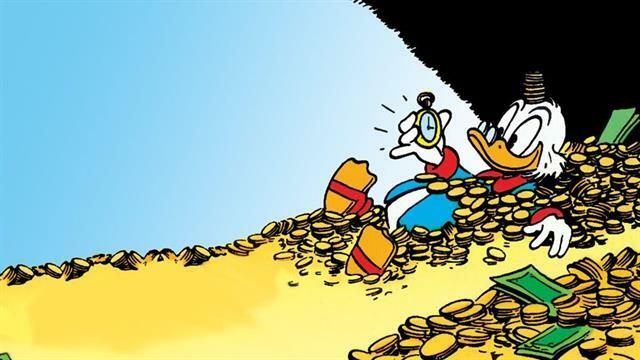 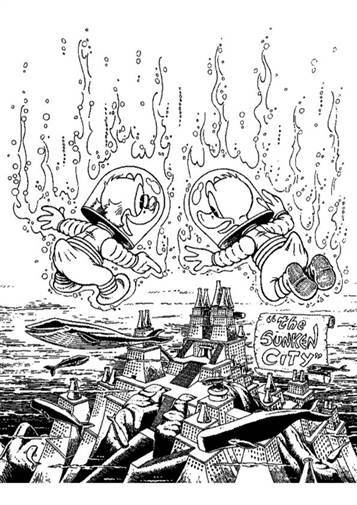 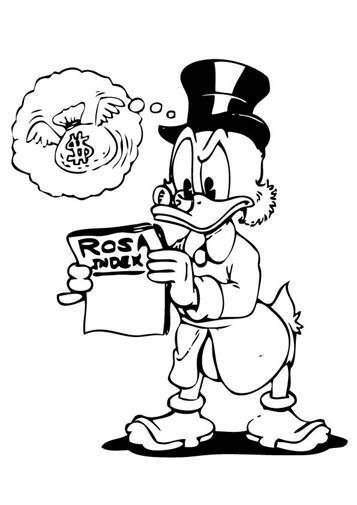 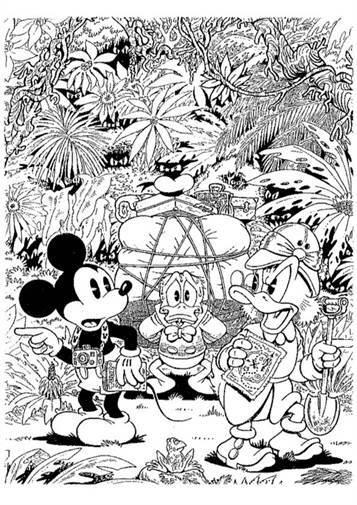 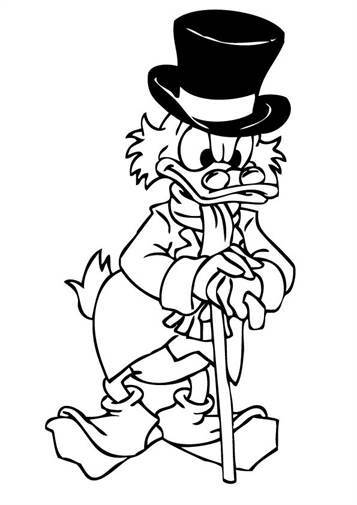 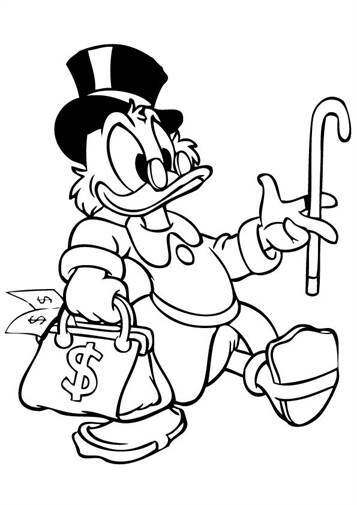 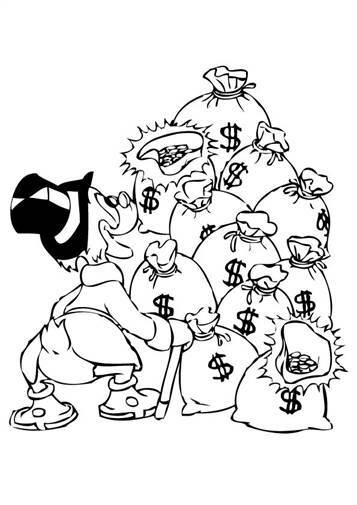 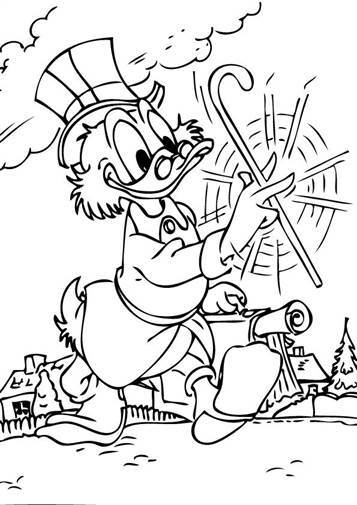 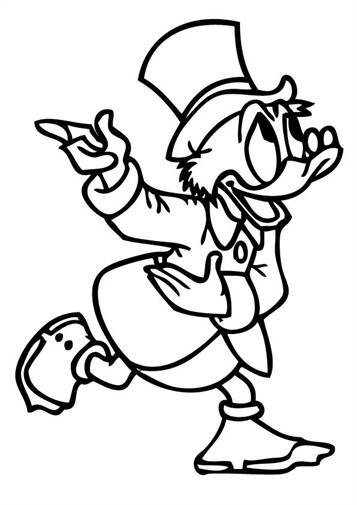 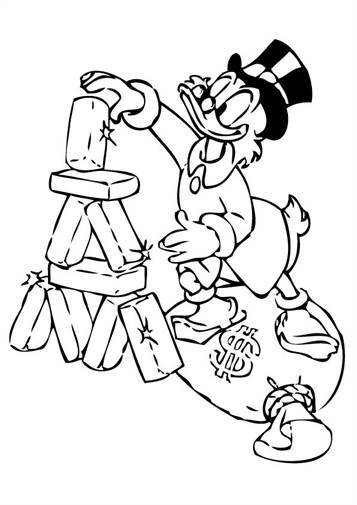 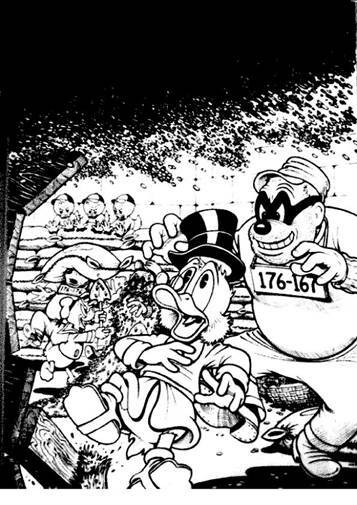 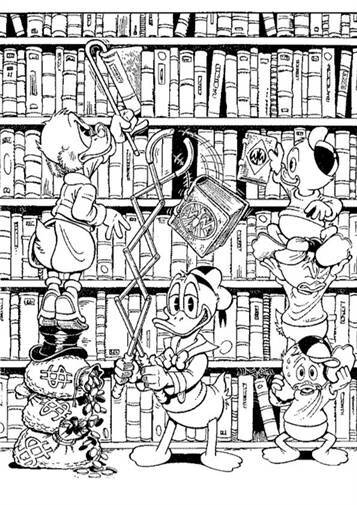 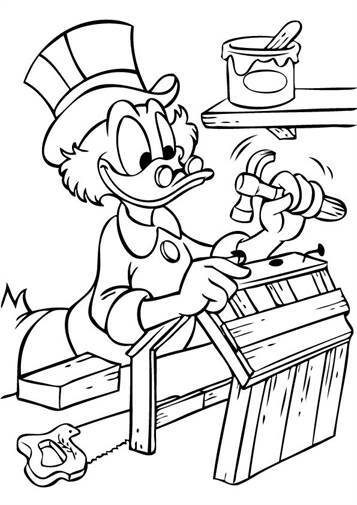 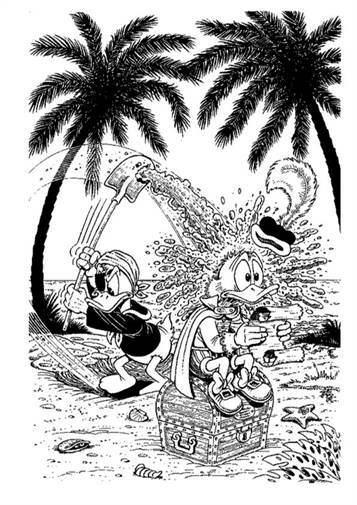 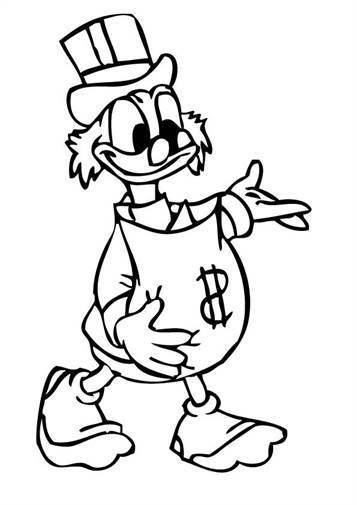 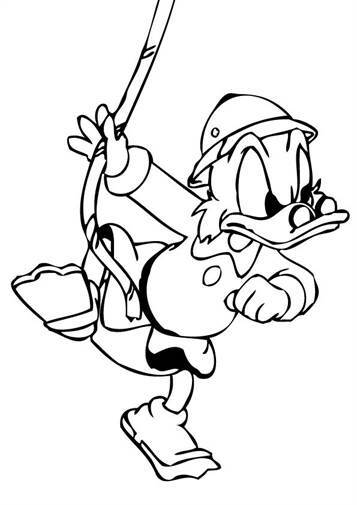 Coloring pages of Scrooge McDuck. 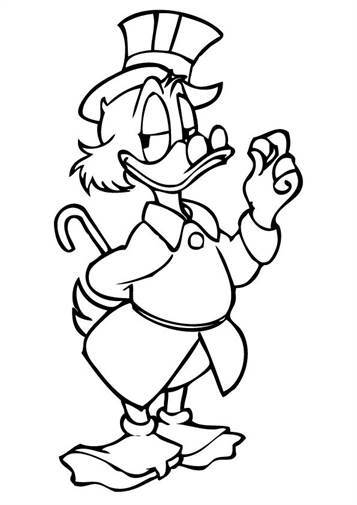 He is the uncle of Donald Duck. 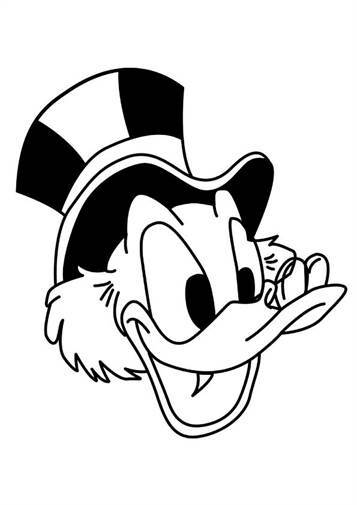 Named after Ebenezer Scrooge from the novel A Christmas Carol, Scrooge is a wealthy Scottish business magnate and tycoon. 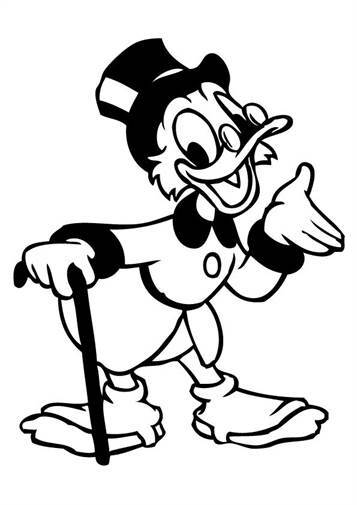 He was in his first few appearances characterized as a greedy miser and antihero (as Charles Dickens' original Scrooge was), but in later comics and animated shorts and the modern day he is more often portrayed as a charitable and thrifty hero, adventurer, explorer and philanthropist.